As states, provinces, and countries continue to press forward with climate change action plans and green initiatives, it’s clear that products and technologies that save fuel and reduce emissions will continue to gain in popularity. A particular focus is on reducing the carbon footprint of commercial vehicles and their equipment. One example of a state’s policy that has fostered change in local commercial vehicle fleets is California. Within the last year the state has unveiled its climate change mandate. California’s goal is to reduce carbon emissions 40% by 2030, and greenhouse gas emissions 80% by 2050, down from 1990 levels. It’s no coincidence that many California companies are upgrading their fleets to plug-in hybrid electric technology at this time. Organizations that have recently announced fleet upgrades include the City of Long Beach, Southern California Edison, and San Diego Gas & Electric Company, which signed a memorandum of understanding with XL Hybrids, developer of hybrid truck solutions, for up to 110 new vehicles over the next 3 years. With many changes happening with various federal and state compliance requirements, fleet professionals are turning to industry associations for support in navigating the changing landscape. 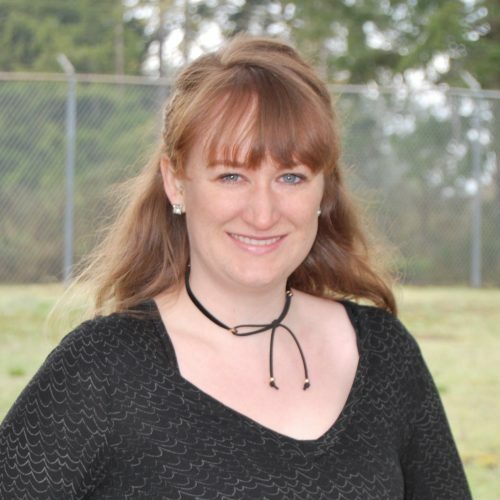 The Green Truck Association, an affiliate division of the National Truck Equipment Association, is one such organization providing members with resources on technologies that aid in increasing environmental sustainability and operational efficiency. This includes encouraging the use of fuel sources aside from gas and diesel, such as natural gas or electricity, and also choosing lightweight and fuel saving technology. With the demand for green and efficient equipment on the rise, VMAC has developed a line of lightweight and fuel-saving air compressors, including the UNDERHOOD™ 70 – Green Series Air Compressor, as well as the Diesel Driven Air Compressor, and the Multifunction Power System. Each of these air compressors and multifunction power systems is lightweight, reducing gross vehicle weight (GVW) by hundreds of pounds (compared to competing systems). The U.S. Environmental Protection Agency (EPA) estimates that for every 100 lbs of weight saved, fuel economy can be improved by up to 2%. In addition, these mobile air compressors and multifunction power systems are equipped with VMAC’s intelligent digital control system, which reduces idle time of trucks and equipment on the jobsite. These controls automatically shut off your engine when air isn’t being used, and then automatically turn the engine back on when you need to get back to work. The UNDERHOOD™ 70 – Green Series Air Compressor produces up to 70 CFM at 100% duty cycle. This rotary screw air compressor is installed under the hood of the work truck, and weighs just 150 lbs, saving up to 260 lbs when compared to similar air compressors. Throttle controls will automatically adjust truck engine idle speed just enough to match air demand and reduce fuel consumption. The VMAC Intelligent Digital Controls are easy to use, and will shut the truck on and off with air demand, eliminating emissions when tools are not being used. See details on the UNDERHOOD™ 70 – Green Series Air Compressor. 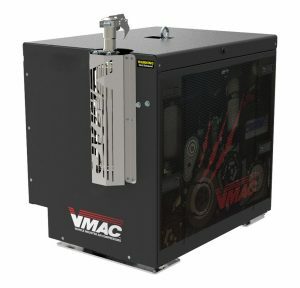 The VMAC Diesel Driven Air Compressor is a 60 CFM, 100% duty cycle rotary screw air compressor. Weighing in at about 450 lbs, this air compressor is about half the weight of competing diesel air compressors. This above deck air compressor also is equipped with a throttle control system that saves on fuel by idling the Kubota diesel engine up and down with air demand. It also turns the engine off when no air is being used, automatically restarting it with air demand. 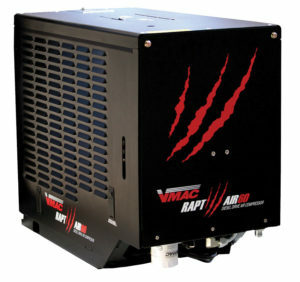 Learn more about VMAC’s Diesel Driven Air Compressors. VMAC Multifunction Power Systems are versatile and customizable, allowing you to only purchase what you need, reducing waste and weight. Powered by a Kubota 4F diesel engine, the 6-In-One Power System features a 45 CFM air compressor, 8 kW generator, 300A welder, 12-48 V battery booster/charger, PTO, and cold climate kit. The 6-In-One Power System can be integrated into a diesel work truck fuel system or skid-mounted for stand-alone applications, allowing you to keep your truck engine turned off during operation. VMAC’s customizable Multifunction allows you to choose your own options and benefit from over 2,000 possible configurations. 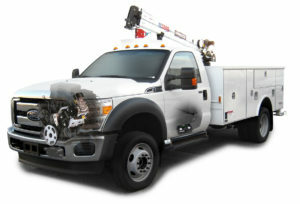 VMAC’s Multifunction Power System will reduce truck GVW by up to 400 lbs, compared to other multifunction systems. Truck GVW is reduced even more when the multifunction is compared to the weight of adding a separate welder, generator, air compressor, and hydraulics to a work truck. The VMAC Multifunction Power System’s digital controls idle the engine up and down, and on and off, with air demand. Visit the Multifunction Power Systems page for more info. Environmental regulations continue to develop and expand making green technology a vital consideration when investing in new vehicles and equipment. By choosing reliable, lightweight and fuel-efficient air compressors and multifunction power systems you’ll be working towards the common goal of reducing your province or state’s carbon footprint and positioning your company to handle environmental regulations, like anti-idling laws. The right equipment will also help you keep money in your pocket by keeping operating costs and downtime low, which in turn boosts your bottom line. Interested in learning more about green products within the work truck industry? Visit the Green Truck Association’s website. Browse the VMAC Product page to see the full line of air compressors and multifunction power systems.